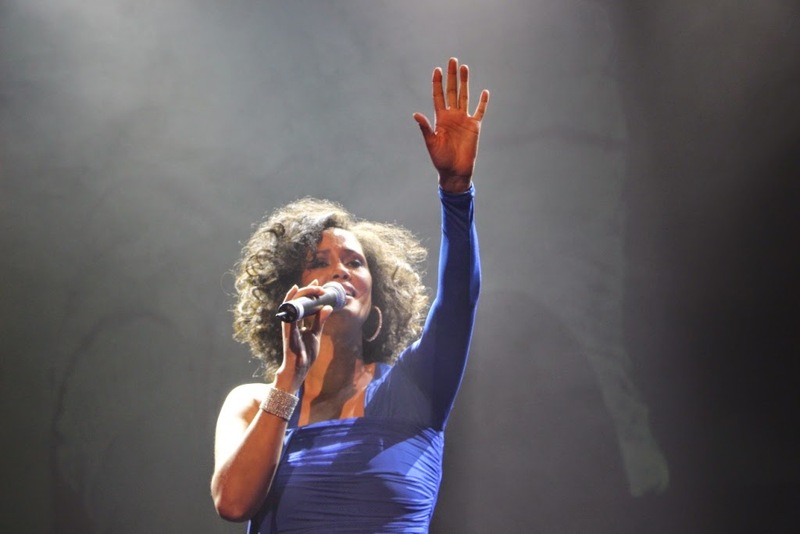 In a tribute to a woman who has long been an icon of pop music and vocal ability, The Greatest Love Of All – The Whitney Houston Show celebrates Whitney Houston's most loved songs with the breathtaking voice of South African singer Belinda Davids (pictured above). No matter how old you are, I think regardless everyone will know at least one song of hers. Probably something you love to karaoke too, although of course we can't hit those high notes like the beloved Whitney herself. Unfortunately for myself I couldn't see the great Whitney Houston herself in show but we have the next closest thing coming around. I have no doubt in my mind that this show will be a moving one in both the dancing and touching your heart for Whitney. The 2 ½ hour concert and stage show spans Houston’s 29 year career and includes hits How Will I Know, I Wanna Dance With Somebody, Where Do Broken Hearts Go, Didn't We Almost Have It All, I'm Every Woman, Exhale (Shoop Shoop), Step by Step and I Will Always Love You. The Greatest Love Of All – The Whitney Houston Show with the glamorous Belinda Davids singing live on centre stage is not only a brilliant tribute but a spectacular concert experience with a full band, dancers and theatrical effects. Davids, born in Port Elizabeth, South Africa, began performing professionally at the age of 14. Her four octave vocal range allows her the ability to sing any genre but her musical heart has always been R&B. Her musical inspirations as a child were Aretha Franklin, Anita Baker, Chaka Khan, Donny Hathaway, Michael Jackson and the one artist whom she still, to this day, honours in every show she performs, Whitney Houston. The Greatest Love Of All – The Whitney Houston Show comes to Melbourne in May 2015 following sell-out tours to Dubai, New Zealand, Canada, the US and South Africa. Two lucky readers will be able to win a double pass to head out for a night to remember. Tickets are valid for the Melbourne performance only on opening night, Friday 15th May at 8pm. Simply enter below via the rafflecopter form for your chance to win. Giveaway closes: 12th May at midnight. Winner is to contact back within 24hrs otherwise may occur. **Tickets have been kindly provided for this giveaway in return for its promotion here. It's always a hit for karaoke! Can just imagine belting out those lyrics. I will always love you - a classic! To see it live would be fantastic! I used to make up dance routines to 'I wanna dance with somebody' in primary school. They were terrible! I have Nothing. The Bodyguard is my all time favourite movie. Nothing is better than Whitney, Kevin, and 129 minutes of viewing pleasure. "I Will Always Love You". A song with profound and poignant emotions. I cannot resist singing along with it whenever I hear it; usually with a tear in my eye. Saving all my love for you! The singer might be gone but she has left us with so many of her beloved songs that sound as good today as they did when they were first released. You know I had never really fallen in love with another female singer’s voice ... until Whitney. Her vocals were flawless, her range incredible and lyrics impeccable. I completely agree hun. Many, many memories have been left through her music and we create all our own new memories when her songs are playing. I will always love you because it was our wedding song 23 years ago! Would live to win this for my Aunty in Melbourne, I've been trying to think of something special for her as she had an accident and this would cheer her up in sure!